The success of the law firm is based on the lawyers' trial experience and the support staff associated with the firm. 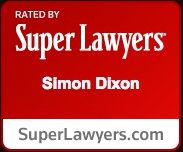 Attorney Dixon is the founder of Dixon and Associates. Attorney Dixon graduated from Boston University Law School in 1985 and is fluent in Spanish and English. Attorney Dixon has concentrated his practice in litigation in Massachusetts and New Hampshire, appearing in the Superior and District Courts, Administrative Agencies, such as the New Hampshire Department of Labor, Massachusetts Department of Industrial Accidents, New Hampshire Commission for Human Rights, and Massachusetts Commission Against Discrimination. Attorney Dixon has concentrated in personal injury cases involving motor vehicle accidents, medical malpractice and products liability, as well as employment law cases involving discrimination and worker's compensation claims. Attorney Callahan has been affiliated with Dixon and Associates since 1992. Attorney Callahan graduated from the Franklin Pierce Law Center in New Hampshire in 1991 and is licensed to practice law in Massachusetts and New Hampshire. Attorney Callahan is a graduate of St. Michael's College in Winooski, Vermont, with a Bachelor of Arts in Political Science. He also earned his Master’s Degree in International Relations from Boston College in 1987. Attorney Callahan works with numerous types of cases at Dixon and Associates, including personal injury cases, motor vehicle accidents, discrimination, worker's compensation claims, and divorce. Attorney Callahan has appeared in courts in Administrative Agencies in New Hampshire and Massachusetts, including but not limited to, New Hampshire Department of Labor, New Hampshire Commission for Human Rights, Massachusetts Department of Industrial Accidents, New Hampshire Superior and District Courts. Ms. Maldonado has been affiliated with Dixon and Associates since 1991, providing the foundation for the law firm. 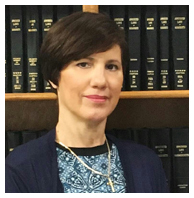 Ms. Maldonado is a paralegal and the office manager who oversees client interviews, intake and provides numerous types of legal support to the attorneys. Prior to joining Dixon and Associates, Ms. Maldonado worked in major corporations.